America may be blotted with asphalt-moated fast-food stops but for more than two decades, a slow food movement has been, aptly, slowly emerging. In chapters across the world, including one right here in St. Louis at SlowFoodStL.org, people are fixed on the preservation of local foods and culinary traditions. Despite its name, the slow food movement’s foundation is taste not haste. Still, dishes that can be prepared quickly take on entirely new dimensions when allowed to cook slowly, very slowly. These recipes are two of my slow favorites, the potatoes new, the chowder old. The chowder recipe easily converts to a delicious clam chowder. When taste counts, choose clam chowder. When taste and local both count, smoked turkey is the pick. SLOW-BAKED POTATOES No, they don’t burn up. No, they don’t shrivel into nothing. Yes, they do bake into the most delicious creamy, nutty baked potatoes imaginable. Just rub russet potatoes with oil, then place directly onto an oven rack and bake for two and a half hours (yes, that's 2 1/2 hours, that’s neither a typo nor a mistake, I even used to go so far as three hours) at 350F. I dare you! ALANNA's TIPS For succulent not-from-a-can texture, skip the knife and break mushroom caps into irregular shapes. Using a slow cooker to caramelize the onions removes some of the guesswork/tending to keep the stove at the right temperature to keep the onions cooking without burning them at the end. Just follow the technique described in Slow Cooker Caramelized Onions. Once the onions are done, proceed with the mushrooms right in the slow cooker, they'll take about an hour. If ever there’s a time to choose good homemade chicken stock, this is it. Even this no-fuss stock will do, try No-Big-Deal Homemade Chicken Stock. A smoked turkey leg yields about 14 ounces of meat. This chowder is a little broth-y, for something more meaty, use two smoked turkey legs. 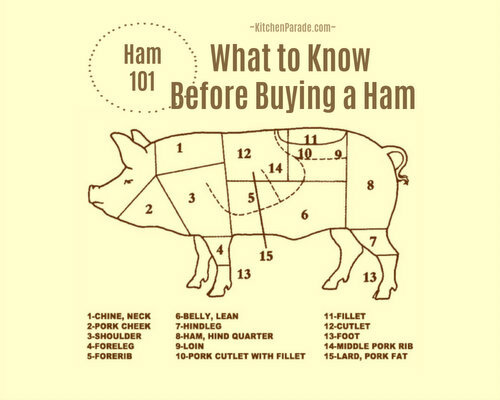 Believe it or not, ham is a good substitute for smoked turkey. They taste remarkably alike and even have the same pink-ish color! For clam chowder, use three small cans of clams and their liquid instead of smoked turkey. Kitchen Parade is written by second-generation food columnist Alanna Kellogg and features fresh, seasonal dishes for every-day healthful eating and occasional indulgences. Do you have a favorite "slow food" recipe that other Kitchen Parade readers might like? Just send me a quick e-mail via recipes@kitchen-parade.com. How to print a Kitchen Parade recipe. Never miss a recipe! If you like this recipe, sign up for a free e-mail subscription. If you like Kitchen Parade, you're sure to like my food blog about vegetable recipes, too, A Veggie Venture. Follow Kitchen Parade on Facebook! CARAMELIZED ONIONS & MUSHROOMS In a large pot or Dutch oven, melt butter on medium. Add onion, toss to coat. Stirring occasionally, cook until onions are deep gold in color, about 90 minutes. Lift the onions from the pot, leaving the cooking liquid behind. Stir in the mushrooms and sugar and let cook til deep brown in color, about 30 minutes, stirring occasionally. POTATOES Meanwhile, separately cook potatoes in salted water. Drain, then peel if desired. CHOWDER In a large, heavy pot such as a Dutch oven, warm the stock, milk, turkey, oregano and rosemary on low heat, not allowing to boil. Stir in cooked onions, cooked mushrooms, and cooked potatoes. Season with salt and pepper. FOR STOVETOP Cover and gently cook on medium low heat for 1 – 2 hours, stirring occasionally, not allowing to boil. FOR OVEN Cover and place in a 200F oven for 4 hours, longer if you like. NUTRITION INFORMATION Per CUP: 258 Calories; 7g Tot Fat; 4g Sat Fat; 57mg Cholesterol; 298mg Sodium; 28g Carb; 3g Fiber; 21g Protein. 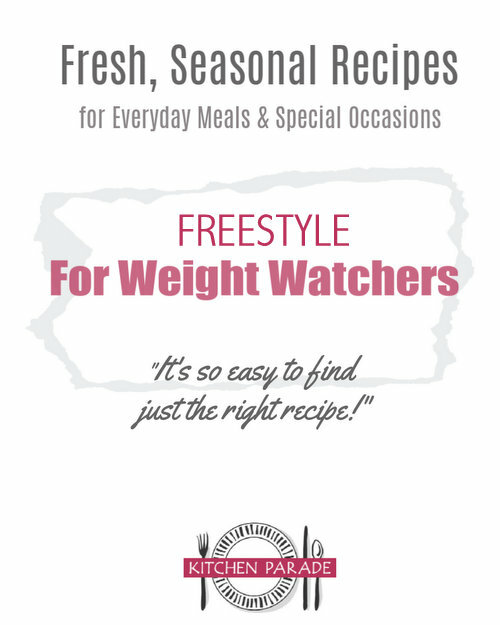 WEIGHT WATCHERS POINTS WW Old Points 5 & WW Points Plus 7. CALORIE COUNTERS 100-calorie serving = 6.5 tablespoons (8g protein). Adapted from a recipe from a woman I barely remember, although I do think that maybe (maybe?) her name was Debbie! I remember she was quite insistent that the potatoes pieces should be large, peeled and irregular. Me, I like them skins on and neat and tidy! There is nothing like the aroma of something cooking for hours on the stove. My kitchen is in the center of the house, and whenever I'm making soup or stew or something that simmers on the stovetop, the entire house fills with good smells. This chowder might be great for a New Year's Day brunch. I will definitely try your slow baked potato recipe and yay you, for writing about Slow Food. It's become the watchword (words?) of my life and one way or another, has changed it in significant ways. Happy New Year to you, Alanna! For years clam chowder and challah was our New Year's Eve dinner. 3 hrs at 350 - unreal! This really does sound delicious. I'm sending this recipe to my sister who loves chowder but is allergic to seafood. Happy New Year! Great recipe-perfect for a cold day in Maine. Wonderful that Slow Food is now in St. Louis. I would love to attend one of your functions if it coincides with visiting my son. Can you put me on your distribution list? We are giving a party tonight here in Basel, Switzerland and your slow cooked baked potato is featured on the menu. It saves so much last-minute-stress.